There are a lot of items available for scrapbooking your Disney Scrapbooking adventure. - Help from Mickey Mouse himself. Below are some Disney Ideas and own Disney Scrapbook Store. 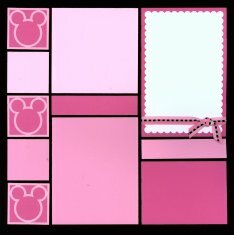 Your Disney Scrapbooking Layout does not have to actually have photos at Disney World or Disney Land. 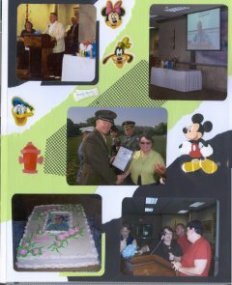 These layouts are for a lady who was planning a trip to Disney World after her retirement. 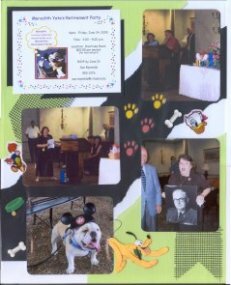 The Theme of the Retirement Party was Disney - even the school mascot wore a pair of Disney Mouse Ears and the layout was decorated with Disney stickers. This cute set of Disney Scrapbooking Layouts was from a Page Kit set designed by Tami Potter of Mosaic Moments. This page kit comes with all the pieces pre-cut, and a beautiful red ribbon to match. Her kits take about 15 minutes to put together using a photo of the design. The only thing you will need is adhesive and a pair of scissors to cut the ribbon. The blocks are a good size to use for your photos. Here is another of Tami Potters Mosaic Moments Disney Scrapbooking Page Kits. This kit also comes with all the pre-cut pieces, including the scallop-cut photo mates, the ribbon, a charm of the enchanted castle and a pre-printed journaling box that says: "Happiness is - Enchanted memories of a magical kingdom." Again, about 15 minutes to put together and all you need is the adhesive and a pair of scissors to cut the ribbon. Check Tami's Website where you can purchase these kits and other in the Mosaic Moments line. 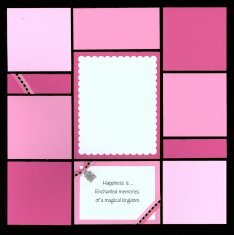 Visit Snapncrop.com (Wish in the Wind, LLC) to purchase Tammy's beautiful and unique layouts and products. Starting with border punches and papers with Disney icons such as mouse ears, stars, mouse hand prints and the big M, treasure map and pirate flags, some plain, some with particular characters, some embossed. 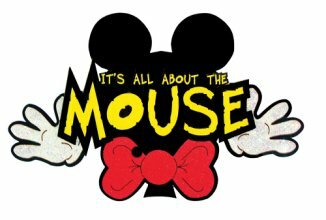 There are dimensional stickers with Mickey in various clothes and depicting various scenes in the jungle, as a pirate, near the haunted house, in a parade, and watching fire works with Minnie. Papers are available as individual sheets, some with companion right and left pages, 12 sheet Paper Packs with all papers related to one particular Disney character and kits of Printed papers with all Disney characters. Paper with scenes from Park Amusements and tickets to tho amusements with coordinating plain paper, printed and textured is also available. There are chipboard products of Mickey and all his friends, (some with glitter), as well as die cuts of all Mickey and friends in many familiar situations. Also available to round out your entire stash of Disney Scrapbooking supplies are Sticker Sheets, Tags, Ribbons, Paper Punches and Punch Outs, Bottle Caps, Photo Corners, Sliders, Labels, Word & Character rub-ons. Film Strip type Stickers, Journaling Cards in mouse-ear shapes and for other characters, Brads, Paper Punches in various sizes, Epoxy Adhesive Tiles, Buttons, Title and Border Stickers, Phrase Stickers, and Travel Brochure Holders with stickers. These are made by manufacturers such Jolees, Sandylion, Castle, Stamping Station and EK Success. There is even the Essential Disney Idea Book with over 65 pages of ideas and inspirations for scrapbooking various Disney Layouts and paper craft projects as well as gift ideas, and handmade journals. One of the best places I know of to find a wide assortment of Disney products is ScrapYourTrip.com. I order from them often and have found their products to be good quality with prompt shipping and pleasant and helpful customer service. 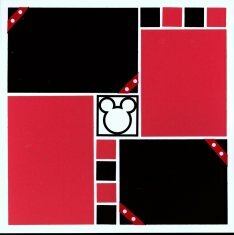 Just recently released through a newsletter are 14 different Disney layouts from Scrapbooks, etc. 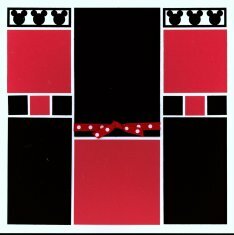 I also found a webisode from PaperWishes.com for some kits: "Disney Finished in A Flash". This webisode can be viewed to see the details of the kits, and the use of the elements in finished scrapbook layouts and cards, as well as using the elements and papers with a few non-Disney photos. The link will enable you to view the webisode in either high or low bandwidth at PaperWishes.com.